Flip a coin, if tails he turns invisible and goes ham and kills. 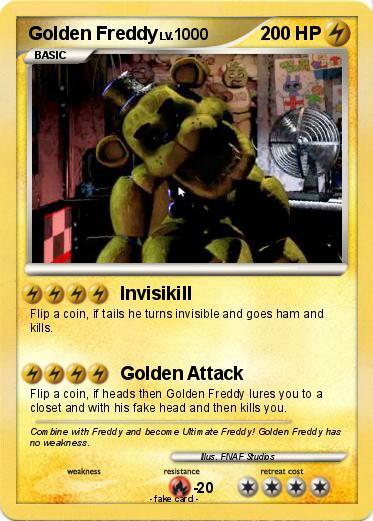 Flip a coin, if heads then Golden Freddy lures you to a closet and with his fake head and then kills you. Comments : Combine with Freddy and become Ultimate Freddy! Golden Freddy has no weakness.